This stylishly simple handmade Sterling Silver Gratitude bracelet is a wonderfully mindful addition to any collection! After cutting this small round disc out of solid 92.5 sterling silver I hand stamp the gratitude symbol onto the surface using a special custom made stamp. This dainty gratitude pendant is approximately 1cm in diameter and has been threaded onto a durable waxed cord which is fully adjustable with a sliding macrame knot. 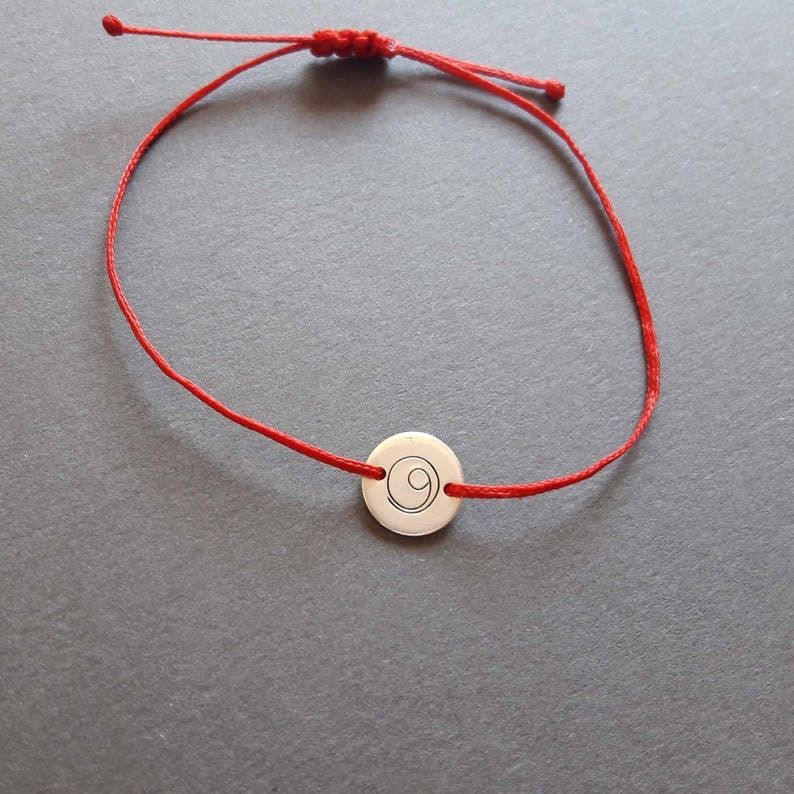 The bracelet cord pictured is in a vibrant red colour but it can also made in black. Please choose the colour you would like from the drop-down menu. A perfect & thoughful gift for someone special - a short personal note can be added to the recipient, just let me know what you would like written!